Free soloing is terrifying. Someone is on the face of a rock, thousands of feet in the air without a rope or any other safety devices, the specter of death always right around the corner. The movie Free Solo examines just this—the terror that such an endeavor inevitably creates. One of the ways that it examines this is breathtaking. The cinematography in which this film is presented puts you on the face of the mountain along with him. Other professional climbers hang from the mountain beside our protagonist, Alex Honnold, to get us the absolute best shot of the action. They walk us through each step of his monumental attempt to climb what is notoriously the most difficult climb in the world, El Capitan in Yosemite, with remarkable detail. The cameras seem inches away from his feet as he perches along the wall on impossibly small ledges. They walk us through the unlikely handholds, one where he needs to prop himself against the wall using only his thumb before switching his hold to the thumb on his other hand. As they follow Alex up El Capitan, we begin to empathize with the camera men as much if not more than Alex as he practices and ultimately attempts the dangerous feat. This is actually a lot of the power of the film. It is difficult to empathize with Alex. You like Alex. You befriend Alex. You don’t want Alex to die, but it’s hard to get into his mindset where he can climb this nearly impossible mountain without safety ropes, the possibility of death incredibly high. The film even mentions many other free soloists who have died trying to climb mountains in this way. The filmmakers and Alex even grieve over one who fell to his death during the timeframe that the movie was filmed. Alex though hardly shows any fear. He constantly remarks that he is aware he could die at any second. His mindset is that everyone dies, why not die doing something you love. While it is difficult to empathize with Alex directly, it is easy to empathize with those who are around him. The filmmakers and cameramen are good friends of Alex. They climb with him. They have been filming him for years as he attempts the dangerous climbs he has attempted. They express their discomfort with every step he takes, with every mental misstep he takes. They fear filming Alex as he falls to his death, and we, the viewers, empathize with them as well. We have seen other climbers fall and see how easy it is to suddenly slip from the rock. We know as he climbs the cliffside that this could happen at any time. We know as we watch the film that there is no guarantee that this film will have a happy ending. We also get to meet Alex’s girlfriend. A character who at first seems obtrusive to his goal of free soloing the mountain but who slowly becomes a tragic and deep character in the life that we have been invited into with this film. It becomes clear that she cares for him, maybe even loves him, deeply. It is clear that she is aware of the dangers of this sport. It is clear that she is aware that if she tries to stop him from doing it, she will lose him because he will choose climbing over her every time. She cannot even talk to him about how the danger makes him feel for fear that she may get into his head. He may be at a difficult section of the wall where the utmost concentration is required and then think about her and what him dying might do to her. This might distract him. This might cause him to fall. 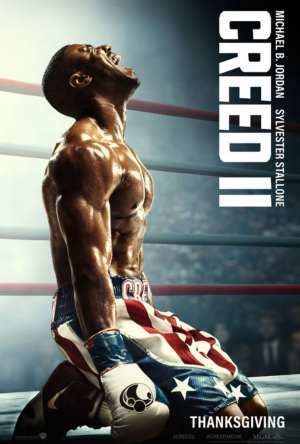 We fear for Alex along with everyone around him as he attempts the greatest athletic achievement of all time at the thrilling climax of the film. It is terrifying in much more real a way than any horror movie might be. You want to close your eyes. You want it to be over. You want to just shut it off and pull up Wikipedia to find out if he survives or dies. 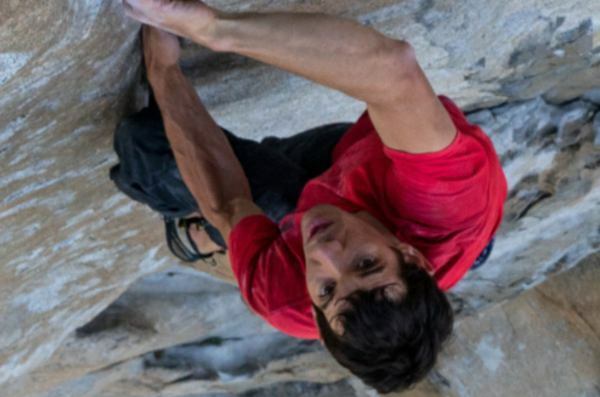 In all of these ways, Free Solo succeeds brilliantly. While the movie is very good and very strong in the above mentioned ways, this does not mean that it is not without its faults. There are parts of the movie that seem to drag and seem extraneous to what the film is trying to succeed. The relationship with his parents falls flat. His mother is only briefly onscreen and almost seems to feign worry about him. Alex talks about his father as a hero in his life who died too soon, but only the surface of this relationship is grazed. The entire mention of his parents in the film seems like it was tacked on and almost seems to take away from the ultimate power of the film. Overall though, the film was very powerful and very scary. It is a successful story about one man working to achieve a dream that seems impossible.